Party To Please (P2P) is a bit of an odd site, compared to others reviewed here. It is essentially a collection of forums, with no advertising. Created after the shutdown of NightShift, it primarily serves the greater Central Valley of California, making it a very regional site. The primary stated purpose of the website is social interaction, though it also calls itself a “dating” site. In the weeks that followed the passage of FOSTA and the loss of numerous websites, P2P did serve as a valuable communication tool for the region it serves. As a result, many within the CTS community from Sacramento to Bakersfield were able to remain connected. This was highly valuable in aiding in spreading the word about other websites that started up as well as helping people find each other on social media sites like Instagram. P2P has not provided much other value. The various discussion areas are not widely used and the site does not offer actual listings for providers. A large focus on the site has been to coordinate social events, mostly in the Fresno area. Users of the site have often been frustrated by the constant changes to the site’s rules, often feeling the rules are too restrictive. The operators of this site have stated that they are working to keep the site free of any legal complications. Overall, this regional site does not offer that much to the community. Dedicated social media sites provide better structure and communication for community building and dedicated advertising sites are much better for clients to find providers. While this site was very helpful in the chaos after the passage fo the FOSTA law, it has had limited value in any larger sense. 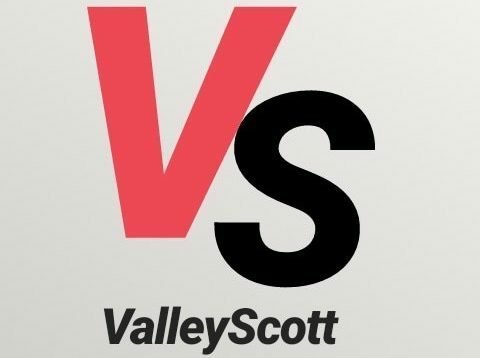 Note: ValleyScott was banned from P2P without notification or reason in July. I joined after NS closed up shop as I was really missing our little community and a provider recommended this to me. I found it too restrictive. They really want to steer clear of any sort of indication of illegal activity so they monitor the posts heavily. We had a police sting that went down in Bakersfield and I posted a heads up on the board trying to be as vague as possible and my post was removed and I got a stern warning from the moderator that if I ever posted something like that again I would be banned. I haven’t been back since. Switter and Instagram are much better alternatives for community discussion at this point I think. I hear PD is working on a forum section so I look forward to seeing how that pans out. PD had. Platform for the community to reach out . Check your chat tab on your profile and click it. It will lead you to another platform. I use to be Mod on P2P ! I agreed on alot but little by little he started changing up so much. Now the site is public. And there are back doors that lead somewhere else. I just stopped trying to help out so my acct got removed at Mod. There is a board of 5. He strongly agreed that everyone had the chance to be in a trail like group Decision. It was the board of 5 who would decode to a trail. If someone was to be suspended or removed . Well valley never got that fair chance.